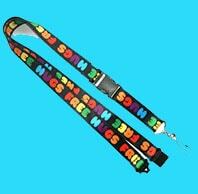 Tube lanyard are the cheapest of all lanyards, you can easily customize online. These are made from loosely stitched polyester, formed into a tube and crimped at the end. Imprinted Polyester lanyards are most popullar from all the lanyards and can be easily customized online. These are high quality products that can be used in a variety of situations. Full Colour lanyards are similar to the polyester lanyards but printing is done through heat trasfer process and supports multiple print colours. Plain Polyester lanyards are most popullar from all the lanyards and can be easily customized online as it doesn't have any text or logo. Good Lanyards specializes in the design, manufacturing and distribution of premium quality lanyards and accessories. Our unique Lanyard makes it easy to design and customize lanyards. Watch your design come together as you create. Good Lanyard is one of the fastest growing lanyard manufacturers in the United Kingdom. Our state-of-the-art factories employ the latest production and quality assurance methods to deliver lanyards on time and at the most competitive price possible. We seek provide a level of service and quality that exceeds our client's expectations at all times and for every custom order we produce. Our goal is to give the industry's most exceptional workmanship, highest quality and still the absolute lowest priced lanyards. We believe that by providing the highest quality, best service and still the lowest prices, our business will always grow and prosper. In addition, we believe that such organic, service-oriented success will propagate regardless of outside economic factors, search engine rankings, advertising campaigns and all of the other areas that our competitors focus on. When you're the best, you will have success. Therefore, we leave the market manipulation to our competitors. We strive to deliver only the worlds best lanyards, printed fast, with rush service and excellent communication. We are service-minded professionals, detailed oriented, honest, and passionate about our work.A business is more than just a money-making venture. A business should give MORE than it takes. It should serve to benefit the community, the country and the earth in general. 1) Promote and visualize your brand, logo, message and identity at conventions, trade shows, sporting or music events, outings, schools, fundraisers and of course, the workplace. 2) No longer just used as traditional hands-free carriers of objects like keys, whistles or identification badges. Now lanyards can be fashion accessories used to secure cell phones, cameras and other small electronic devices. 2012 © Copyright GoodLanyards.co.uk. All rights reserved.